After my Pre-Primer, Primer, First Grade, and Second Grade Sight Words, I obviously couldn’t stop 😉 Also, my loyal reader Anne’s son was asking for allll of the sets, and I definitely don’t want to disappoint him! So, here they are for your kids’ sight word studies and review: Third Grade Sight Word Pumpkins. 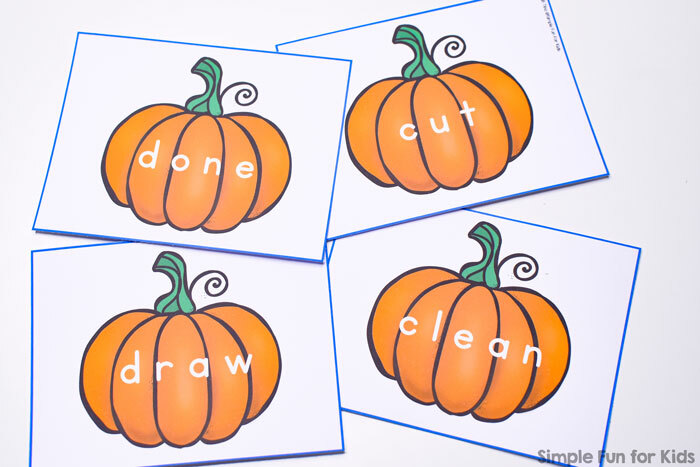 This set of sight word pumpkins covers all 41 third grade Dolch sight words on 41 pumpkin cards. I’ve color-coded this set with blue borders so you can tell it apart from the other sets if needed. 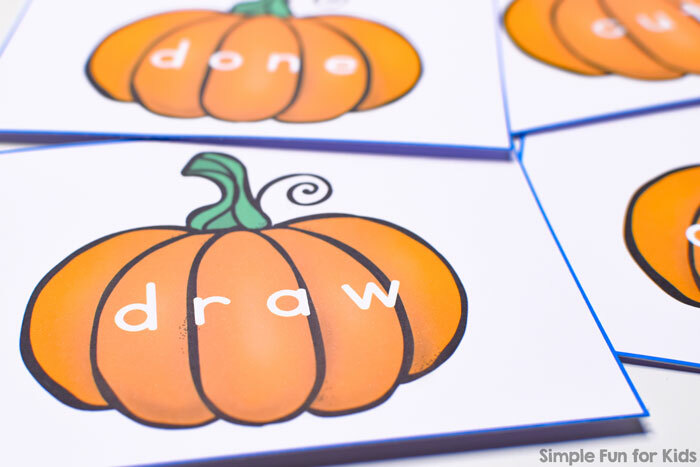 With four pumpkin cards to a page, you can print big cards that can be seen and read from a decent distance away. If you need smaller sizes, you can choose to print two or four pages from the file to a sheet of paper. Cut the cards apart at the blue lines and use them however you want. 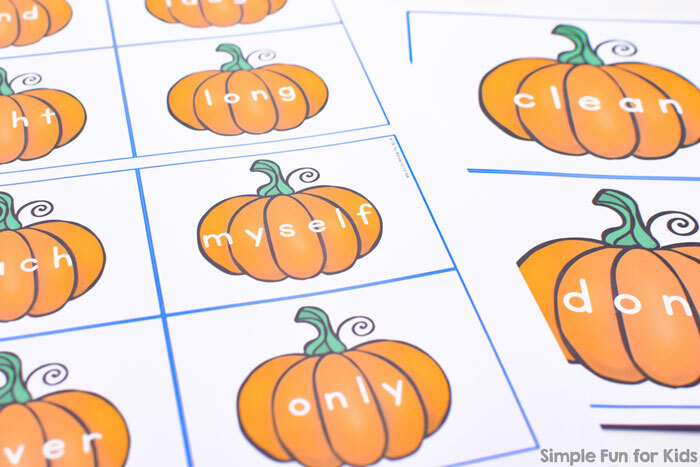 Download your Printable Third Grade Sight Word Pumpkins Right Now! 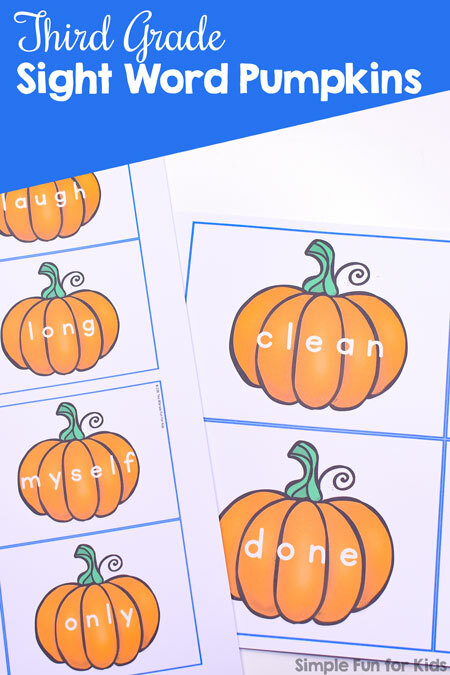 Go to my store right now to buy the third grade sight word pumpkins set (and other sets if you’d like) and start learning and reviewing these sight words within minutes!